The question of re-organisation of the Administrative set-up in the Union territory of Delhi has been under the consideration of the Government for some time. 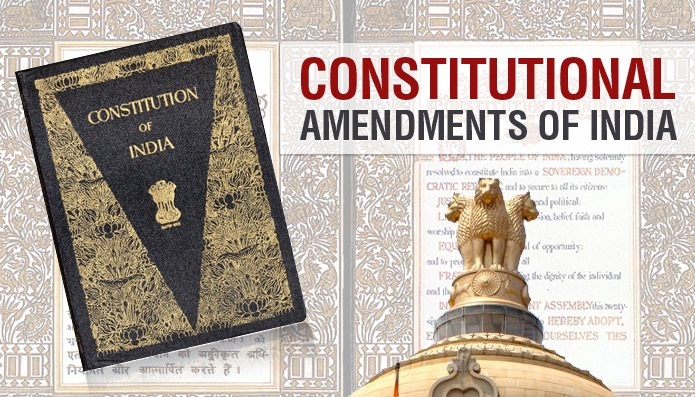 The Government of India appointed on 24-12-1987 a Committee to go into the various issues connected with the administration of Delhi and to recommend measures inter alia for the streamlining of the administrative set-up. The Committee went into the matter in great detail and considered the issues after holding discussions with various individuals, associations, political parties and other experts and taking into account the arrangements in the national Capitals of other countries with a federal set-up and also the debates in the Constituent Assembly as also the reports by earlier Committees and Commissions. After such detailed inquiry and examination, it recommended that Delhi should continue to be a Union territory and provided with a Legislative Assembly and a Council of Ministers responsible to such Assembly with appropriate powers to deal with matters of concern to the common man. The Committee also recommended that with a view to ensure stability and permanence the arrangements should be incorporated in the Constitution to give the National Capital a special status among the Union territories. 1. Short title and commencement.- (1) This Act may be called the Constitution (Sixty-ninth Amendment) Act, 1991. (2) It shall come into force on such date_678 as the Central Government may, by notification in the Official Gazette, appoint. `239AA. Special provisions with respect to Delhi.-(1) As from the date of commencement of THE CONSTITUTION (Sixty-ninth Amendment) Act, 1991, the Union territory of Delhi shall be called the National Capital Territory of Delhi (hereafter in this Part referred to as the National Capital Territory) and the administrator thereof appointed under article 239 shall be designated as the Lieutenant Governor. (b) The total number of seats in the Legislative Assembly, the number of seats reserved for Sceduled Castes, the division of the National Capital Territory into territorial constituencies (including the basis for such division) and all other matters relating to the functioning of the Legislative Assembly shall be regulated by law made by Parliament. 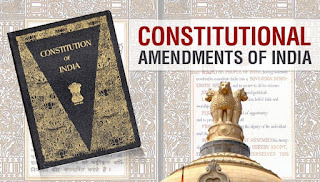 (c) The provisions of articles 324 to 327 and 329 shall apply in relation to the National Capital Territory, the Leislative Assembly of the National Capital Territory and the members thereof as they apply, in relation to a State, the Legislative Assembly of a State and the members thereof respectively; and any reference in articles 326 and 329 to "appropriate Legislature" shall be deemed to be a reference to Parliament. (7) Parliament may, by law, make provisions for giving effect to, or supplementing the provisions contained in the foregoing clauses and for all matters incidental or consequential thereto. (8) The Provisions of article 239B shall, so far as may be, apply in relation to the National Capital Territory, the Lieutenant Governor and the Legislative Assembly, as they apply in relation to the Union territory of Pondicerry, the administrator and its Legislature, respectively; and any reference in that article to "clause (1) of article 239A" shall be deemed to be a reference to this article or article 239AB, as the case may be. the President may by order suspend the operation of any provision of article 239AA or of all or any of the provisions of any law made in pursuance of that article for such period and subject to such conditions as may be specified in such law and make such incidental and consequential provisions as may appear to him to be necessary or expedient for administering the National Capital Territory in accordance with the provisions of article 239 and article 239AA. '.